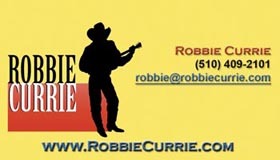 From business cards to billboards, we do it all. By handling all aspects of promoting our clients, we guarantee a coherent look and feel throughout and we save you money because we already have the materials in house. 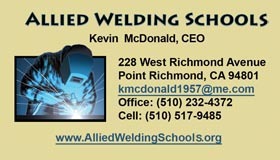 Two of the most important considerations for any entity are a clear message and a memorable logo. 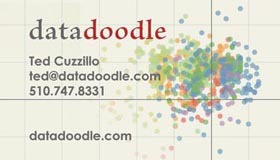 Naturally, the logos shown below are hot linked to their websites. 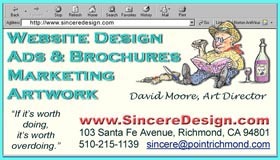 Though we do love doing websites, traditional marketing is also fun and effective. 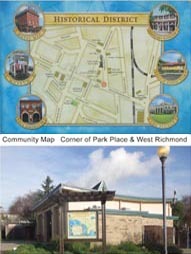 Below are some examples of print marketing which were designed to supplement websites which we also designed. 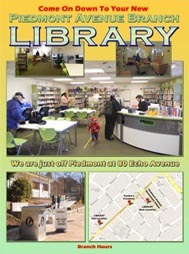 The Friends of the Piedmont Avenue Branch Library was facing budget cuts and possible closure and as a vital resource and community hub - and thanks to great teamwork it is open and busy. 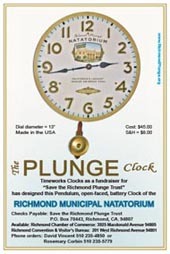 A post card promoting a clock as a fundraiser for the Richmond Municipal Natatorium (The Plunge). Sales of the clock have been good and helped generate additional donations. 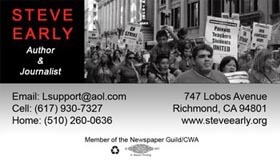 .A detail from the 11 x 14 flyer for the Women's Westside Improvement Club which was established in 1908 and is one of the longest operating women's clubs in California. 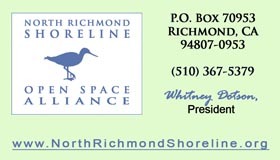 Call or email us anytime - we love our work and we hope it shows!